Below is our list of speakers and a description of their topic. 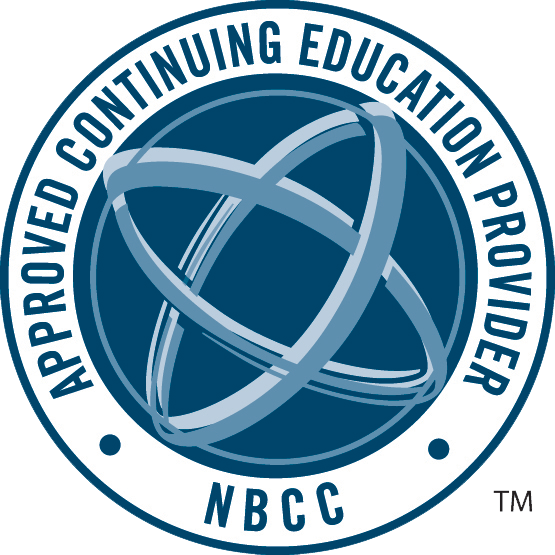 The Group Practice Owners Summit is an NBCC approved conference. Speakers who’s topics are eligible for NBCC CEs are denoted below. 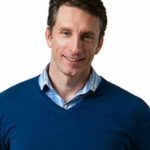 Mike Michalowicz is the author of Profit First and other popular business books, a podcaster, speaker, business columnist and tv host. He’s won the minds of many group practice owners with his book Profit First, and has gained even more waves in our community for his latest book, Clockwork. Mike’s 2 hour keynote/training will expand upon his Profit First and Clockwork ideas. Free book signing to follow his keynote, and everyone who comes will get a free copy of his book! The duo that brought us together will keynote the second day of the summit with a discussion on mental health access as a human right. Michael Blumberg owns Glenview Counseling Group, a group practice that he founded in 2012. His group has grown since then and now employs a total of 10 therapists and a full time office manager. Maureen Werrbach started a group practice (Urban Wellness) in 2012 and it has grown to a multi-location, 20+ staff that provide counseling, psychological testing and medication management. Her mission is to provide care to as many people in her communities as possible. Learning Objectives: Get clear about how creating a meaningful brand in your group practice will permeate everything from your relationships with referral sources, your connection to the community and the customer experience your business is known for. Gain clarity on how to create an office culture and leadership style that is in alignment with your values and your brand. Samara is a sunny California native with a bright infectious smile. 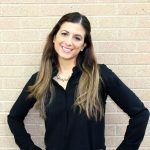 Her natural ability to connect with people and her strong entrepreneurial spirit led her to start her first business in college and has carried over to her unique career in social work. Since 2005, Samara has been the Founder of The Stone Foundation, a behavioral health firm in Maryland. 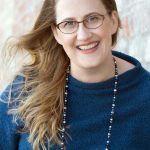 As an innovative leader in the field of mental health, she leverages her 20 years of experience to develop business coaching and branding solutions specifically for her unique niche of mental health entrepreneurs. Known for her wealth of knowledge and dynamic presentation style, she naturally inspires others towards personal and professional achievement. As a coach, Samara is the perfect balance of compassion and accountability, offering insightful strategy while nurturing the emotional resilience needed to approach entrepreneurship with the confidence to take inspired action. Learning Objectives: Learn the 5 things your content marketing strategy should include, learn how to set a content marketing goal and how to measure those results. 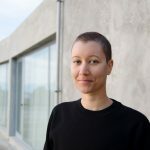 Kat Love is the founder of both Empathysites, a website design solution for therapists and of Empathycopy, a website copywriting tool for therapists. Inspired by the way therapists helped them heal from childhood sexual abuse, they chose to specialize in helping therapists with their online presence. Kat’s focus is on creating websites that are easy-to-use, professional, and truly reflect who a therapist is so that they can attract their best fit clients. Kat has appeared on the The Group Practice Exchange Course, The Therapist Clubhouse podcast, Selling The Couch podcast, PsychCentral Pro, Thriving Therapy Practice Podcast, The Simple Practice Blog, the Australia Counselling Directory and many more. Learning Objectives: Identify what forms of HIPAA Security policies and procedures are necessary for a group practice’s compliance, choose an employment structure that supports HIPAA Security compliance, and identify a training program that can improve client care and reduce risk of liability. Roy Huggins, LPC NCC, is a counselor in private practice who also directs Person Centered Tech. Roy worked as a professional Web developer for 7 years before changing paths, and makes it his mission to grow clinicians’ understanding of the Internet and other electronic communications mediums for the future of our practices and our professions. 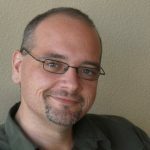 Roy has been advising group practice owners on technology and HIPAA issues for about 6 years Roy is an adjunct instructor at the Portland State University Counseling program where he teaches Ethics, and is a member of the Zur Institute advisory board. 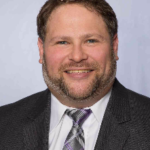 He has acted as a subject matter expert on HIPAA, security and clinical use of technology for Counseling licensure boards and both state and national mental health professional organizations. He has co-authored or authored 2 book chapters, and he routinely consults with mental health colleagues on ethical and practical issues surrounding tech in clinical practice. He served for 5 years on the board of the Oregon Mental Health Counselors Association and then the Oregon Counseling Association as the Technology Committee Chair. He really likes this stuff. Learning Objectives: You will learn and understand the core systems and processes needed to scale a practice. Participants will identify key metrics to determine if their practice is on point and ready to scale. Using their own metrics, participants will develop understand how to use a 3 second dashboard to track their KPIs, identify red flags, and determine their growth track. Kasey Compton has worked in behavioral health field since 2009. Prior to becoming a counselor she was an elementary and middle school teacher. Finding her calling as a counselor during my work in the field of education came pretty easily. As a teacher, there were barriers and challenges which left her limited in terms of what I could or could not do to help her students. Professional counseling seemed like a great fit and perfect solution! Kasey believes that therapists are often expected to give up so much of their time, their energy and their own money to help people. She believe that therapists should get a HUGE return on all of that investment by creating a practice that works for them. Now, Kasey owns a large behavioral group, Mindsight Behavioral Group, in Somerset, KY. She employees over 80 staff members and finds success in the systems and processes she has implemented that works for the mental health field. Kasey is a huge believer in Profit First and has achieved success with it’s implementation. She has a growing and thriving company and gets joy out of helping others in this industry achieve success! Group practice owners will learn why passive income is critical to a sustainable business model. You will also learn about strategies and tools to generate passive income. 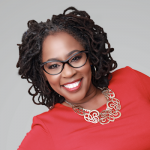 Dr. Ajita Robinson is an Income Strategist, Multi-passionate Entrepreneur, Clinician, and Educator. She is the multiple companies including, The Coin Collectors Academy, Mastering Insurance LLC and Friends in Transition Counseling, LLC. She successfully launched her private practice while finishing her doctorate. Within 8 months of opening FIT, LLC, she scaled to what is now a million dollar group practice. Prior to becoming a grief specialist and the Experts’ Therapist, Dr. Robinson worked in corporate America building sustainable business models and engaging in product development, launch and sales. 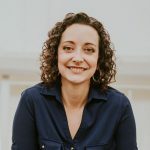 She leverages this experience as an income strategist and business development specialist to support small business owners in building businesses that give them freedom and flexibility while making an impact on the people and communities they serve. Learning Objectives: In this training you will learn about when to consider adding psychological testing as a service, what to look for in a testing clinician and how to bill for- and profit from- testing services. 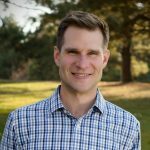 Dr. Sharp is a licensed psychologist and Clinical Director at the Colorado Center for Assessment & Counseling, a private practice that he founded in 2009 and grew to include over ten clinicians and a full administrative staff, with over 1000% revenue growth during that time. He earned his undergraduate degree in Experimental Psychology from the University of South Carolina before getting his Master’s and PhD in Counseling Psychology from Colorado State University. These days, he specialize in psychological and neuropsychological evaluation with kids and adolescents. As the host of the Testing Psychologist Podcast, he provide private practice consulting for psychologists and other mental health professionals who want to start or grow psychological testing services in their practices. He live in Fort Collins, Colorado with his wife (also a therapist) and two young kids. Learning Objectives: When is it a good idea to buy property for your group practice? What should you expect from the buying process? What is required to manage a property? Noreen will teach you how to have renters cover your expenses, about qualifying for mortgages and why this investment makes sense in this one-of-a-kind training! 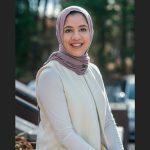 Noreen Iqbal, LCSW is the founder and director at the Olive Branch Therapy Group in East Brunswick, NJ. She comes from a family who believes in real estate. 13 years ago, out of grad school she bought her first 3 family property in a nearby college town. She serve as the landlord and property manager. This has been a cash positive property for 13 years. 6 months ago, she moved her own group practice into a building she purchased 18 rooms and 5 bathrooms. She then created a wellness center, rented space out to a psychiatrist, massage therapist and nutritionist. Learning Objectives: Define your niche and clarify that course topic that’s going to call in the cash. Learn why most online courses flop and the powerful niche-finding formula that will pave the way for five figure first launches. Find out the secret to successful course creation and how you can leverage your expertise to make money in the online space (skip these market filters and you may be missing out on making serious sales). Learn how to do it all with just a laptop and an idea, so that you can make your impact on the masses, push past dollars for hours and experience true entrepreneurial freedom like the #boss that you are. Katie K. May helps therapists just like you go from burned out, buried in paperwork and spinning their wheels trying to market to growing your group presence (both in the office and online) so that you can make a positive impact on the world and your bank account at the same time. Learning Objectives: Create policies and procedures that protect your business but allow for flexibility and a unique company culture. Identify best practices in training new staff in the mental health field. Create measures of performance that improve job satisfaction. Dr. Maelisa Hall is a licensed psychologist, wife, nail design enthusiast and co-host of the My Biz Bestie podcast. 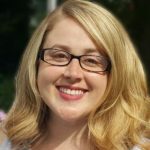 In her online business, QA Prep, she specializes in teaching therapists how to connect with their paperwork so it’s more simple and more meaningful. 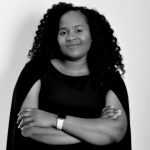 Maelisa’s passions for training, marketing and creating community guide her business decisions and many networking adventures. Find out more at https://www.qaprep.com/. Learning Objectives: Participants will evaluate the cultural context currently within their group practice or what they would like to develop within their group practice in order to improve cultural awareness policies. Participants will identify differing cultural needs within their community and identify ways to meet those needs within their group practice. Participants will identify ways to implement, improve and foster culturally competent services within their group practice. Lujuana Milton, MSW, LICSW graduated with a Bachelor or Arts (BA) and a Masters of Social Work (MSW) degree from Boston College in Chestnut Hill, MA. She has over 12 years of clinical experience in the field and has worked in a number of settings addressing issues of anxiety, depression, substance abuse, opposition/defiance, and trauma. She has been trained extensively in a number of treatment approaches including traditional talk therapy, Cognitive Behavioral Therapy (CBT), Dialectical Behavioral Therapy (DBT), and Eye Movement Desensitization Reprocessing (EMDR). Lujuana is the 2014 Community Partner of the Year Award recipient for the Norfolk County Juvenile Court. She also provides consultations and workshops with local community and school districts regarding issues affecting children, adolescents, and families such as substance abuse, anxiety, depression, self-harm, and cultural diversity. Learning Objectives: Identify ideal characteristics (as well as absolute deal-breakers) of the clinician(s) you’d like to hire (including clinical/technical skills, general employment skills, and fit for your team). Formulate a job description (and job posting) that makes sense and is appealing to your ideal candidates. Create a tailored recruiting system that helps you find the best people using the least amount of your time (both when you have plenty of candidates as well as when you have too few candidates). Strategically design your application, screening, and interview questions to best assess your candidates and find the right fit. 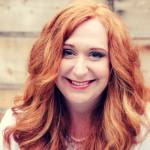 Katie Vernoy is a Licensed Marriage and Family Therapist and founder of Evolve to Thrive Consulting. Katie has always loved leadership and began stepping into management positions soon after gaining her license in 2005. 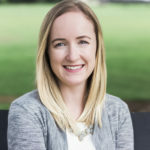 Katie’s experience spans many leadership and management roles in the mental health field: program coordinator, director, clinical supervisor, hiring manager, recruiter, and now President-Elect of her state professional organization. In one of her management roles, Katie was able to transform a struggling mental health program – engaging the team in implementing solutions that improved clinical outcomes, increased clinician productivity (and billing), and won awards for innovation and best practices. Now, in business for herself, Katie provides coaching and business strategy to support leaders, visionaries, and helping professionals in pursuing their mission to help others, through one-on-one consultation as well as leadership and staff management training. Learning Objectives: Understand and implement approaches to Lead vs. Manage. Understand and implement preventative measures to limit “people problems from occurring. Performance Improvement Plans (PIP) and when to let go. Lindsay graduated with a degree in Counseling and Organizational Psychology and is a Licensed Clinical Professional Counselor, Certified Alcohol and Drug Counselor, group practice owner, non-profit starter, networker extraordinaire, and wife to an awesome guy who made some super cool kids with her! Her professional experience includes working in case management, working in the business side of EAP with challenging employee situations and helping managers become the best that they could be, managing hospital-based PHP/IOP programs, professor, executive coach, owner of a group practice with two locations, and starting a not-for-profit focusing on healthy couples and healthy families. She have a real passion for helping bosses become managers who turn into leaders. As a young adult, she had a near death experience in a hospital due to a lack of systems, procedures, and what later came out, an atmosphere where everyone hated who they worked for leading to a lack of quality in the care they provided. From that day forward, she has been motivated to change the lives of bosses and employees. We spend ⅓ of our life at work, so let’s make it safe, healthy, productive, and maybe even a little happy. Learning Objectives: You will learn how to build a referral network that is well-respected and reliable, how to create a sustainable plan for professional growth without burning out, and how to identify the team and resources needed to scale your business. Maelisa Hall is a licensed psychologist, wife, nail design enthusiast and co-host of the My Biz Bestie podcast. She specializes in teaching therapists how to connect with their paperwork so it’s more simple and more meaningful. Maelisa’s passions for training and marketing guide her business ventures and many networking adventures. Find out more at www.qaprep.com. Amber Hawley is a licensed marriage and family therapist who works with high performing couples. 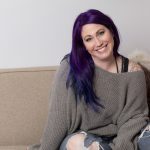 She is the owner of a group therapy practice in the Bay Area, wife, mom of three kids, avid coffee drinker and co-host of the My Biz Bestie podcast. Amber originally worked in the tech industry but her love for people led her to pursue a career where meaningful relationships are at the center of everything she does. Learning Objectives: Learn how to create a social media brand and voice. We will cover best practices and review the latest proven methods to gain an organically grown social network. You will gain insight into how to increase social media referrals and learn about the power of Facebook groups for mental health providers. We will also discover how to leverage LinkedIn and Instagram all while keeping HIPAA compliance throughout. In the 3rd hour we will cover topics on how to grow your email list, identify and formulate your buyer’s journey and create a lead nurturing strategy for your email marketing campaigns. Robyn Ackerman is the Owner and CEO of Pop Digital Marketing, a full-service marketing agency devoted to enabling businesses to learn, understand and implement best practice strategies in reaching their target market. Robyn is passionate about working in digital strategy, content development, social media, online marketing, branding and website development. 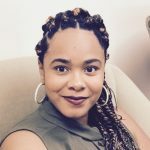 She utilizes her 16 plus years of experience and marketing certifications to consult and teach professionals how to leverage the internet through the implementation of web marketing solutions to help “pop”, stand out from the competition and get discovered by customers. Robyn has presented at many professional networking events, functions and company trainings on all areas of Digital Marketing. Her greatest accomplishment is her growing family which includes her husband, three daughters and son.